The final Road to the Kentucky Derby series prep for the month of January is Friday's $150,000 Smarty Jones, the opening day feature of the 2019 meet at Oaklawn Park. The one-mile Smarty Jones is a lead-in to Oaklawn's other Kentucky Derby preps: the Southwest (G3) in February, the Rebel (G2) in March, and the Arkansas Derby (G1) in April. Derby qualifying points of 10-4-2-1 will be awarded to the top four finishers. Hall of Fame trainer Steve Asmussen has never won the Smarty Jones, but has numbers on his side with three of the nine entries. 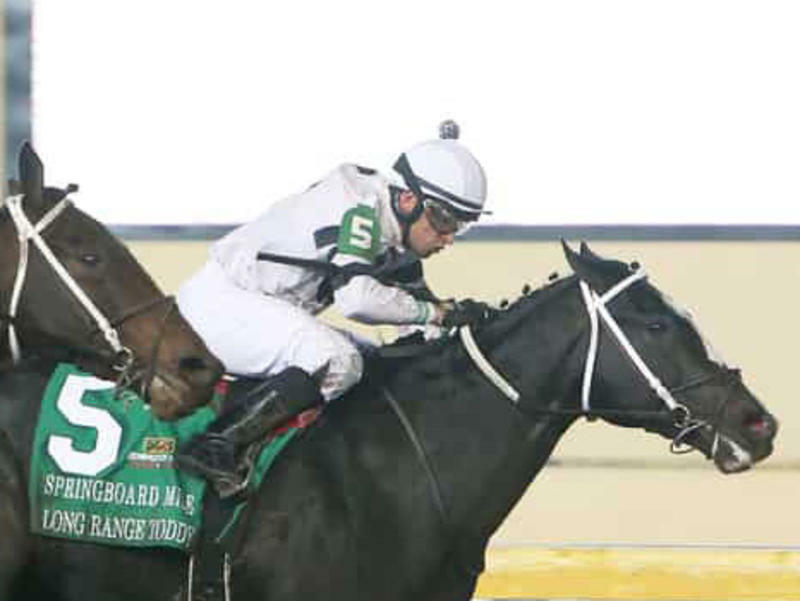 Most prominent of these is Long Range Toddy, who earned 10 Derby qualifying points following an 18-1 upset of last month's $400,000 Springboard Mile at Remington Park. In 11 previous runnings, the Smarty Jones has been won by champion three-year-old Will Take Charge, Breeders' Cup Dirt Mile (G1) winner Caleb's Posse, and multiple Grade 1 winner Flat Out. It will be the eighth of nine races Friday with a scheduled post of 4:52 p.m. (EST). The Smarty Jones can be watched and wagered on at TwinSpires.com.